Severe snow storms, rainstorms and hurricanes are a part of life in New Jersey, and they can play havoc with aircraft and hangars alike. Here are some tips from Monmouth Executive Airport for preparing your aircraft or jet for a storm. How is a storm dangerous to your aircraft? Hail: Even small hailstones of half an inch in diameter can cause devastating damage to your aircraft, denting the body, smashing windows and causing significant damage. Lightening: While it is unlikely that lightening itself will damage your aircraft, the electricity transmitted in a strike can travel though wires, boarding steps and other metal objects, which can lead to injuries and damaged electrical systems. Wind: This is arguably the biggest threat to your aircraft, as strong winds can lift aircraft and even flip them over. Other debris carried by the storm can be flung against your aircraft, causing significant damage, or even rip it apart completely. Move your aircraft: If you do not have hangar space for your aircraft, it is best to fly it to an FBO outside of the storm cone. If you have a hangar, secure your aircraft inside the hangar along with any other aircraft that can fit in. Do not wait until winds reach 25 knots or higher, as this can easily push an aircraft around as it is being towed, putting it and the people around you in danger. Insurance: Make a quick call to your insurance company to ensure that your aircraft insurance is up-to-date and that you are sufficiently covered for storm damage. Evaluate your hangar: Make sure the hangar you are using is properly sound and stormproof. When moving an aircraft into the hangar, only open one door as crosswinds can push the aircraft over or into another aircraft. When your aircraft is inside, secure it firmly so that it will stay in place in the event of interference from crosswinds. 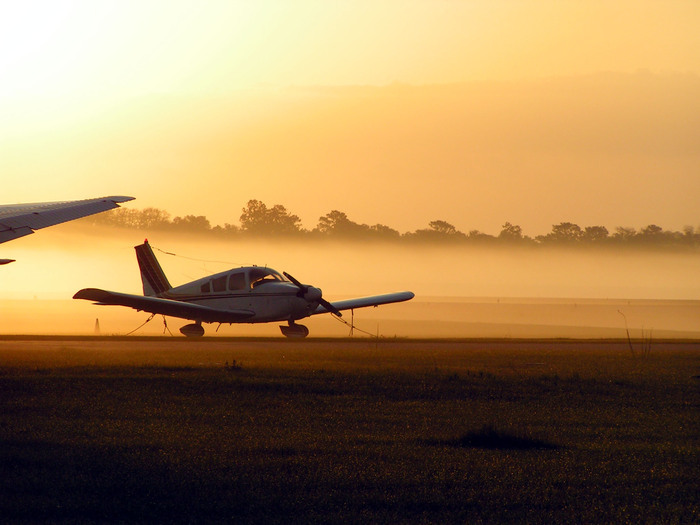 The best way to ensure that you and your aircraft are prepared for storms is to hire or buy a hangar. Finding hangar space is a challenge anywhere in the country, but our offering of competitively priced custom aircraft hangars and aircraft storage options along with our central location, makes us a real alternative to the crowded airports of Teterboro and Morristown. Through our world-class amenities, aircraft maintenance, hangars and services, we offer private clients an exceptional flying experience.